Glamour-sized, full-colour and 68 pages long. 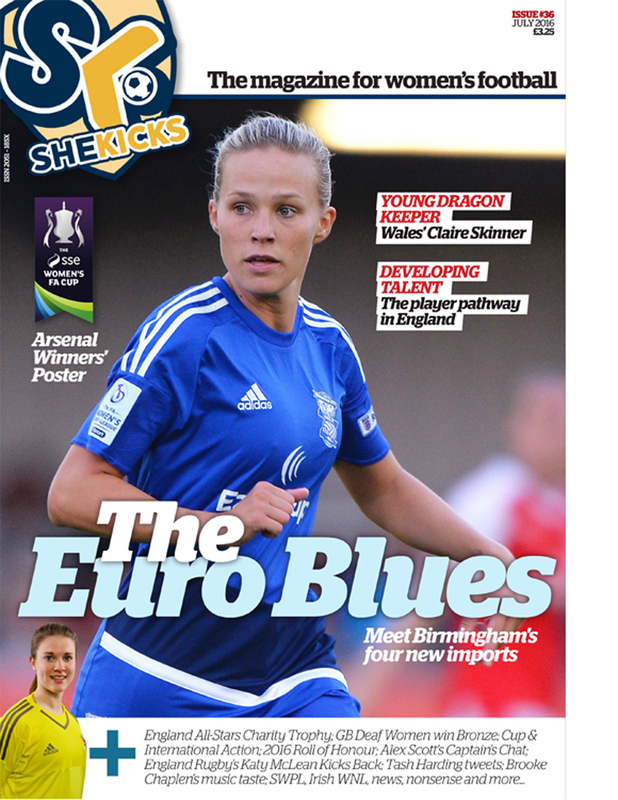 We meet Birmingham’s four new signings, Wales’ young keeper, some England U19 stars, Ellie Hilton who plays in an U18s boys’ league and look at the new talent pathway in England. 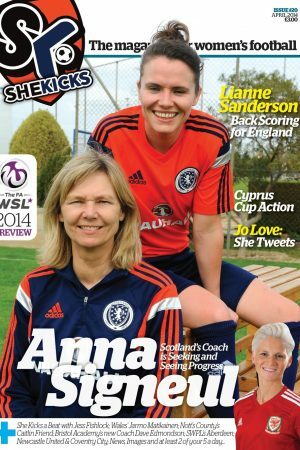 There’s interviews from the England All-stars charity match, we hear about GB Deaf Women’s team’s medal success in Italy, Alex Scott discusses her Arsenal captaincy, Brooke Chaplen reveals her musical hits, Tash Harding tweets back, England Rugby star Katy McLean Kicks Back, Keith Boanas talks about coaching, plus our 2016 Roll of Honour, Scottish WPL & Women’s Irish League updates, Kingstonians, Stacey Little, Ashlee Hincks, Chloe Arthur. There’s an Arsenal, a Brighton and a Jill Scott poster and the usual news and reviews and a bit of silliness. So much and only £4.00 in the UK (inc. postage & packing). 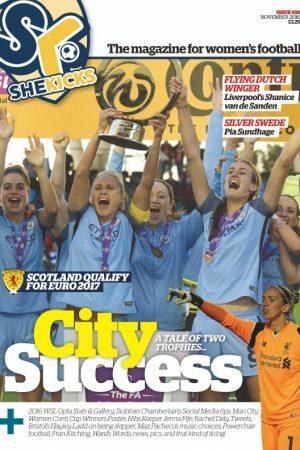 For great deals on more than one copy to the same address, please get in touch by emailing: shop@shekicks.net or calling: 0191 442 1001. During office hours. Or we won’t be there!) WANT TO BUY THE DIGITAL VERSION INSTEAD? HAVE A LOOK IN THE SHOP. Contact shop@shekicks.net if you have any queries.